I really enjoyed this juice, Very creamy and a hint of honey. The best Mango I've had hands down. I DIY my own mango all the time and have tried a few recipies similiar to this flavor profile but doesn't compare. It is a very creamy mango. You wont be disapointed. I'd say this juice is in my top 10. Paramount Vapor is amazing, they shipped really fast and the juices were amazing. I tried Baja Blastoff, Mellow Mango, Fruitasm, ‘Murica, and Strawberry Clouds. They were all top notch flavors. The label design was decent but from what I’ve seen ,they’ve greatly improved it. 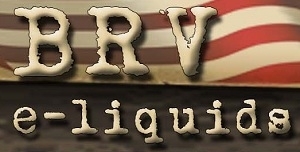 BRV Liquids is a great juice vendor whose profit supports the Vape-A-Vet foundation that puts e-cigs in the hands of military, and retirees. Great juice that supports a great cause. I was pleasantly surprised by the quality of the juice.